Today’s review is something quite different from the normal whiskey-fare, in that it is whiskey distilled from fully crafted beer. This is the project of Charbay, to bring beers to their final destination as whiskeys. There are several different iterations of Charbay whiskeys, ranging from stouts to IPA’s – the subject of today’s review. This whiskey is double distilled out of Bear Republic’s famous Racer 5 IPA, aged in French Oak casks for 29 months, and bottled at 99 proof (49.5% abv). The whiskey is truly a different experience, like no flavors I’ve ever experienced in a whiskey before. The nose is hot and herbal, like drying mint leaves mixed with oregano and herbal cough drops. The palate is hot and fiery with some more herbal cough drops, fresh thyme, Simcoe hops, cumin, and pine tar. The finish is long and dry, with oregano and poblano peppers. While it is true that the early stages of whiskey-making and beer-making are quite similar, I know of no other distillery outside of Charbay that uses fully matured and ready to drink beer as the basis of their whiskey. I love the creativity, but I have to admit that I am not a lover of the final product. I enjoy hoppy beers, but in the distilling process, to my palate, the hops have become acidic and spicy to a detriment to the whiskey. My grade: C-. Price: $70-80/750ml. This one is too expensive for my blood based on the way the flavors present themselves to me. 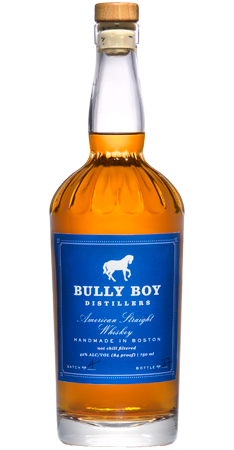 That said, it’s a cool idea, and I look forward to trying Charbay’s other products and experimenting with this whiskey in some cocktails.